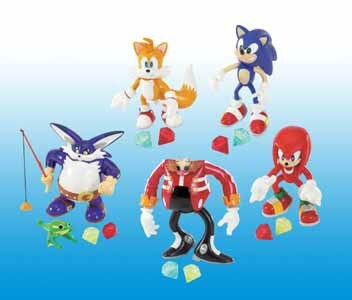 Tails comes complete with two chaos emeralds and his two tails are detachable and you can hand wind them so that they spin. He is by far the cutest of the range - there's just something about that quiff and his slightly vacant expression that makes girls go: "Ahhh!" 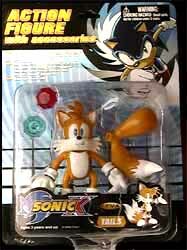 As with the rest of this range, he's manufactured from good quality materials and looks just like he does in the games and TV series.